Vacuum Decay Leak Test of Foil Seal. The video is a vacuum decay leak test used to determine if the foil seal on the top of the diagnostic reagent kit is leaking. The products you see in the image include: and Isaac HD vacuum decay leak tester as well as a custom fixture designed to form a chamber around the diagnostic kit. The precisely machined fixture eliminates the majority of the volume in the chamber for to increase the sensitivity and speed of the overall test. 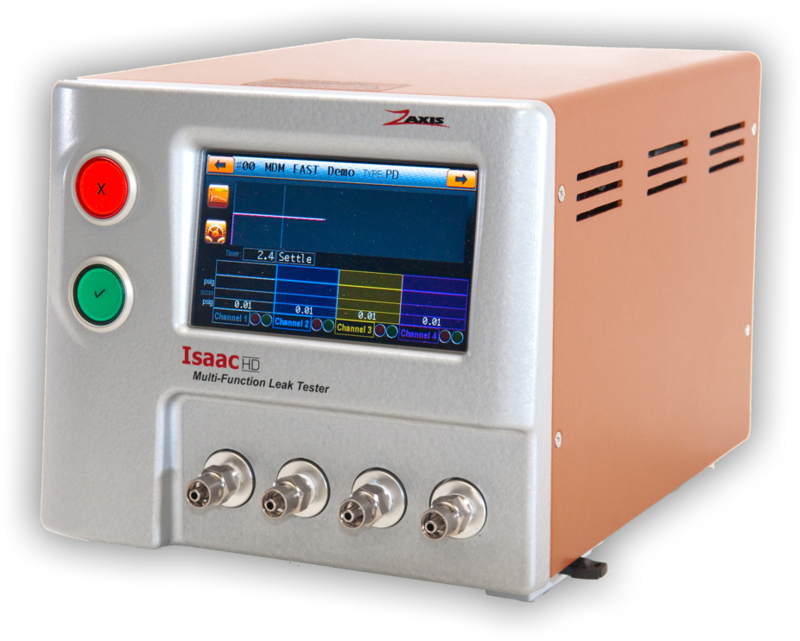 This is a video of a Zaxis Isaac HD leak tester conducting a vacuum decay test in a chamber.